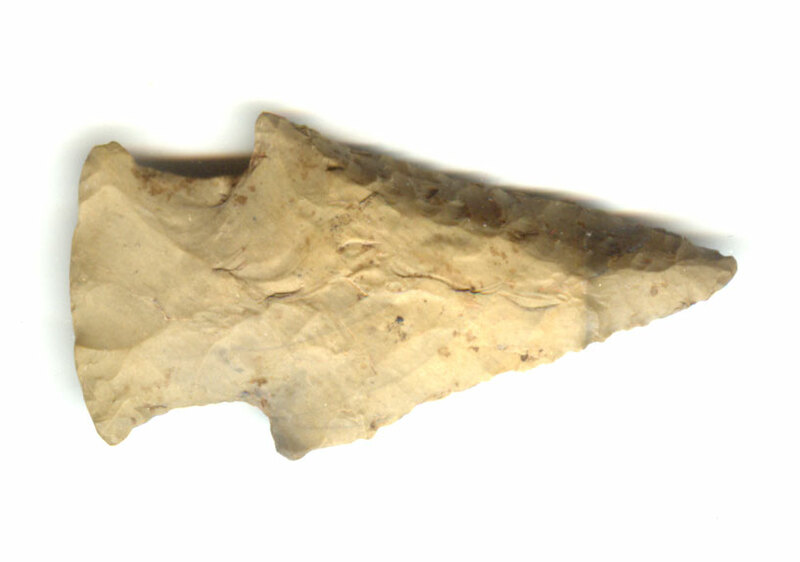 A Small Size, Repeatedly Anciently Use Sharpened And Visibly Aged, Nicely Made Hardin Point That Exhibits Surface Sheen Aging And Overall Stone Coloration Patination, Visible One Side Aging Deposits Difference, Aging At The Stem Notches, Correct Rolled Basal Stem Edge Hafting Dulling, Polished Blade Use Wear, Correct Blade Sharpening Use Reduction, Correct Style Base And Overall Shape, Correct Material And Manufacture For The Area Found. Repeated Use Sharpening Has Reduced The Blade Length And Width Almost To The Hafted Area Creating Steeply Beveled Cutting Edges. Includes A Ken Partain Certificate Of Authenticity!